There should’ve been a mascara warning for episode 5 of The A Word. It was still funny and entertaining this time around but pulled at the heartstrings throughout. The opening number had Paul (Lee Ingleby) walking along the country road with music blaring in his headphones instead of Joe, as overwhelmed by the scenery around him as he is with his family situation. Writer Peter Bowker has so many plates spinning as we reach this penultimate episode but, being a master of his craft allows him to give each of his characters equal screen time and equally interesting stories that fit together perfectly. 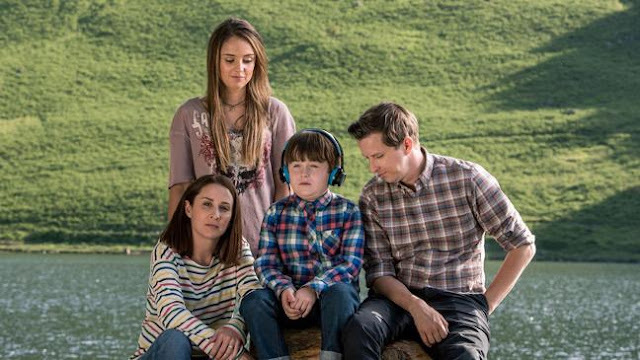 Firstly, Nicola (Vinette Robinson) is keen to use a video of Joe as a case study to discuss autism at her work but while Alison (Morven Christie) is proud watching her son and hopes it can be used to help others understand the disorder, Paul is uncomfortable and doesn’t want others to see it. Spending time with Joe, Paul becomes distressed by Joe’s rocking and can’t help but compare him to other children he sees at the mainstream school gates. Paul’s difficulty in processing his son’s development is heartbreaking. The fact that he wants Joe to not have autism or to just run away is understandable but not really acceptable to talk about openly. Paul says out loud what many might think – he loves Joe but hates Joe’s autism - Alison can’t understand this as it’s all a part of who Joe is. They are going through the same thing but Paul and Alison are at different stages of dealing with it. Alison has now accepted Joe’s disorder and has moved on to the practicalities but Paul is still reeling. The heartstrings are pulled further when Mark (Travis Smith) reads out a statement on his application form for his new school about what he wants from life. It is touching to hear that he wants to be cool and have friends like all other young people. The tears were welling up at this point but by the time we see the home video of Joe’s joyful moments and the family describing him in one word there was full scale waterworks. My vision became a bit obscured for the remainder of the episode. Thankfully there was some light relief during all of this from a brief appearance of the sarcastic GP Dr Graves (Daniel Cerqueira). For a show dealing with the difficulty some people have expressing their emotions it elicits plenty of them from the audience. I’m looking forward to next week’s episode and hoping for an upbeat finale but will be removing my eye makeup beforehand just in case. 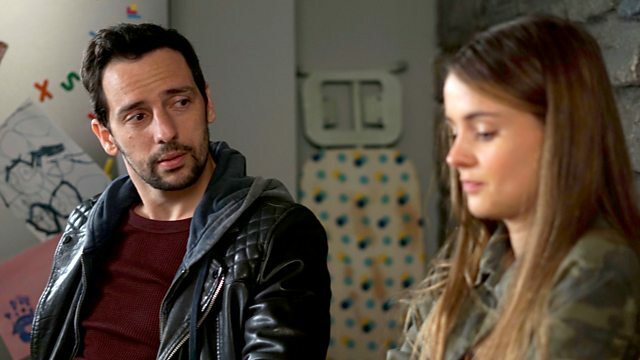 The A Word Concludes Tuesday at 9.00pm on BBC One.